How many times do you punish a man? How many times do you get to punish a man? How many times are you equitably entitled to whine about the injustices committed upon your own citizens when you inflict the same on others? Somebody should ask those questions of President Barack Obama, who just this week said that he wants to see more political prisoners released from Cuba, and more evidence of a humanitarian attitude on the part of its leaders. Somebody should ask the same questions of U.S. Attorney General Eric Holder, who runs the Justice Department in Washington. Anybody who reads my articles knows that when I write about Cuba, I tell it like it is. The Castro brothers are thugs and their corrupt banana republic regime is a monument to 50 years of political and economic failure. But that doesn’t mean the U.S. should get a free pass when it demonstrates a similar authoritarian heavy-handedness. Especially when petty political pawns of both countries are the victims. I have written extensively about the Alan Gross case and the Miami Five, and I won’t repeat myself here I’ve also called for the obvious – and just – solution: a prisoner swap. Gross in return for the Five. Read my August 10 column on that subject. René González is a 50 year old man born in the States in 1961. He holds dual U.S.-Cuban citizenship. René is one of the Miami Five. He was convicted of various federal crimes in 2001. He has been continuously in custody since his arrest in 1998. Now is neither the time nor place for an extended discussion of the facts of the case, but suffice it to say that Renee was found guilty of being an agent and spy for the Castro regime in the late 1990s. He was sentenced to 13 years – two consecutive sentences, actually – and he has served every day of them. René’s federal prison record is described as “exemplary and spotless.” He is scheduled for release October 7. Therein lays the problem. When most prisoners are released from incarceration, they are not really free. They must first serve a term of “supervised release,” or parole as it used to be called. In René’s case that term is three years – until the end of 2014. 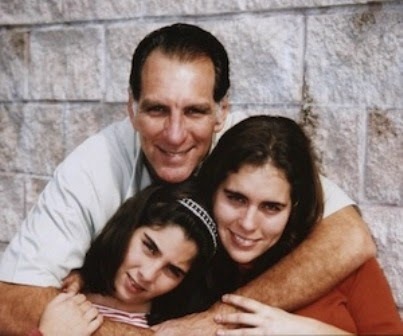 Earlier this year René’s attorney filed a motion with the federal court in Miami, asking that upon his release he be allowed to return immediately to Cuba (where he is adulated as a national hero). On September 16 the judge tentatively denied the request, saying that it is premature (since René hasn’t actually walked out the prison door yet). The U.S. Government opposes the motion vigorously, and I’m betting the federal judge will deny it again when it's refiled. René will have to spend three more years in south Florida, alone and still separated from his family. René González is married. His wife and two daughters, who were residents of Florida for many years, live in Havana. The girls were 14 and four when René was arrested. He has scarcely seen them over the past decade. René’s wife was deported from the United States on immigration charges in 2000, and he has not seen her once since then. In 2008 U.S. immigration officials told her that she was permanently barred from returning, since apparently the government believes she is a Cuban agent too. René’s parents, both 80, have been able to travel from Cuba once a year to visit him in prison, but they won’t be able to do that indefinitely. René should be allowed to get on the first plane out of Miami when he is released on October 7. But he probably won’t be. And that will be a grave legal and moral injustice by the greatest power on the face of the earth.